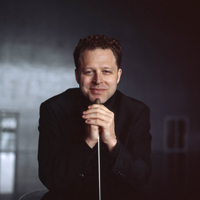 Conductor John Axelrod has established his profile as one of today's leading young conductors and is sought after by orchestras and opera houses throughout the world. He has been music director and chief conductor of the Luzerner Sinfonie Orchester and Theater since 2004/05 and principal conductor of Sinfonietta Cracovia since 2000. In 1997, he founded Orchestra X in Houston, Texas, an ensemble which gained international recognition for bringing new audiences to classical music through innovative programming and non-traditional formats. Guest conducting engagements have included the Oslo Philharmonic, the ORF Orchestra, the Shanghai Symphony, and returns to the Orchestre de Paris, the Dresden Philharmonic and the Helsingborg Symphony Orchestra.